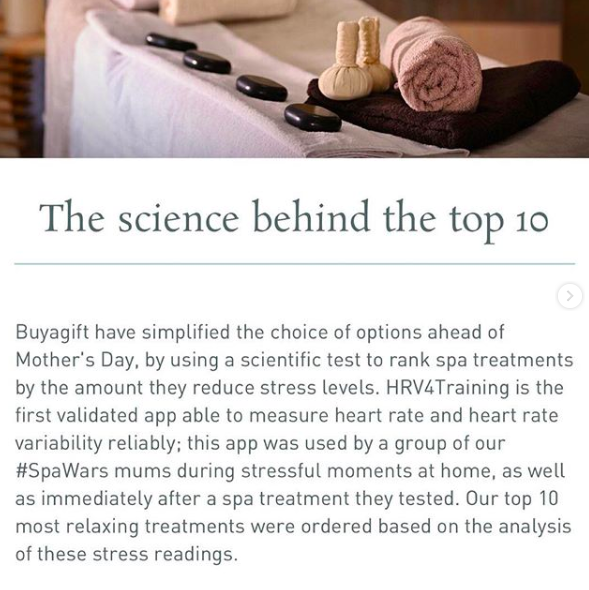 See the original post on HRV4Training's Blog at this link. In this post I will cover three ways to estimate parameters for regression models; least squares, gradient descent and Monte Carlo methods. The aim is to introduce important methods widely used in machine learning, such as gradient descent and Monte Carlo, by linking them to a common "use case" in the different data science communities, such as linear regression. Regression is one of the first prediction methods invented, and the three approaches I will be discussing, are typically used by three different communities. Least squares is probably the most common method, mainly employed by frequentist statisticians and also used as the default method for many easy to use packages in R or Python (e.g. the lm function in R). Gradient descent is the machine learning approach to the problem. My favorite resource on the topic is the famous machine learning course by Andrew Ng on Coursera. In machine learning, the overall approach to problem solving and prediction is rather different compared to more classical statistics, even though it heavily relies on statistics (check out this answer by Sebastian Raschka on the origins of machine learning, I think it makes my point clear). I think one of the reasons why Andrew Ng uses gradient descent in the first place, instead of other methods like the least squares, is probably that he wants to stress the importance of the method in the machine learning community. By using gradient descent, he highlights how in machine learning it's often more important to approximate a solution by defining an iterative procedure able to efficiently explore the parameter space, instead of obtaining an exact analytical solution. Finally, there is the Bayesian way of doing things. Monte Carlo methods are powerful tools to explore the parameter's space and obtain the full posterior distribution, instead of just point estimates. This is something that requires a bit more introduction and explanation, and while I tried to do so in the remaining of this blog post, this is certainly far from being a comprehensive resource on Bayesian modeling. For the ones that want to dig deeper into regression and Bayesian approaches I would suggest reading Gelman's book on hierarchical modeling, one of my favorite resources in the field. As a dataset for this post I used some real life data I've collected using HRV4Training. 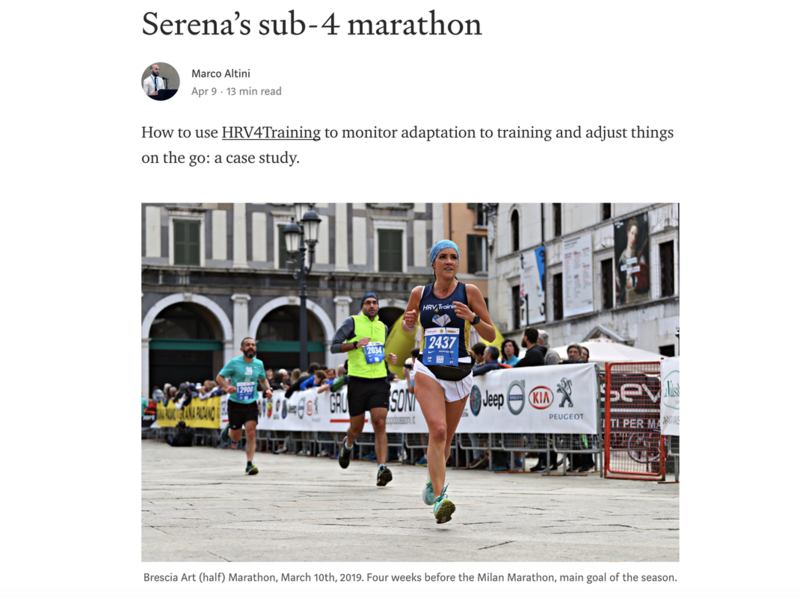 In particular I am using heart rate variability (HRV) and age data, since there is a known relation between HRV and age, with HRV decreasing as we age. Thus, I am using as single predictor $X$ the user's age, and as outcome variable, HRV, in particular rMSSD in milliseconds (ms). rMSSD is a time-domain feature representative of parasympathetic activity (not really relevant for this post). In this dataset, I have $n = 581$ samples. Pearson's correlation between age and HRV is $r = -0.23$. 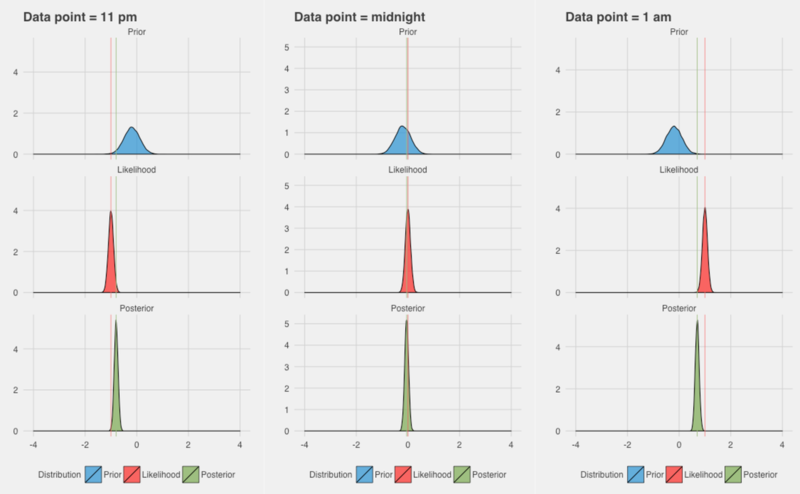 Note that this post is not about finding the best fit to this data, which might not be linear, but it's about showing different methods to estimate the linear model's parameters, with the aim of introducing important aspects widely used in machine learning. A couple of weeks ago I read this post about cross-validation done wrong. During cross-validation, we are typically trying to understand how well our model can generalize, and how well it can predict our outcome of interest on unseen samples. The author of the blog post makes some good points, especially about feature selection. It is indeed common malpractice to perform feature selection before we go into cross-validation, something that should however be done during cross-validation, so that the selected features are only derived from training data, and not from pooled training and validation data. However, the article doesn’t touch a problem that is a major issue in most clinical research, i.e. how to properly cross-validate when we have imbalanced data. As a matter of fact, in the context of many medical applications, we have datasets where we have two classes for the main outcome; normal samples and relevant samples. For example in a cancer detection application we might have a small percentages of patients with cancer (relevant samples) while the majority of samples might be healthy individuals. Outside of the medical space, this is true (even more) for the case for example of fraud detection, where the rate of relevant samples (i.e. frauds) to normal samples might be even in the order of 1 to 100 000. The main motivation behind the need to preprocess imbalanced data before we feed them into a classifier is that typically classifiers are more sensitive to detecting the majority class and less sensitive to the minority class. Thus, if we don't take care of the issue, the classification output will be biased, in many cases resulting in always predicting the majority class. Many methods have been proposed in the past few years to deal with imbalanced data. This is not really my area of research, however since I started working on preterm birth prediction, I had to deal with the problem more often. Preterm birth refers to pregnancies shorter than 37 weeks, and results in about 6-7% of all deliveries in most European countries, and 11% of all deliveries in the U.S., therefore the data are quite imbalanced. I recently came across two papers [1, 2] predicting term and preterm deliveries using Electrohysterography (EHG) data. The authors used one single cross-sectional EHG recording (capturing the electrical activity of the uterus) and claimed near perfect accuracy in discriminating between the two classes (AUC value of 0.99 , compared to AUC = 0.52-0.60 without oversampling). The density plots above show the feature's distribution for four features over the two classes, term and preterm (f = false, the delivery was not preterm, in light red, t = true, the delivery was preterm, in light blue). As we can see there is really not much discriminative power here between conditions. The extracted features are completely overlapping between the two classes and we might have a "garbage in, garbage out" issue, more than a "this is not enough data" issue. Just thinking about the problem domain, should also raise some doubts, when we see results as high as auc = 0.99. The term/preterm distinction is almost arbitrary, set to 37 weeks of pregnancy. If you deliver at 36 weeks and 6 days, you are labeled preterm. 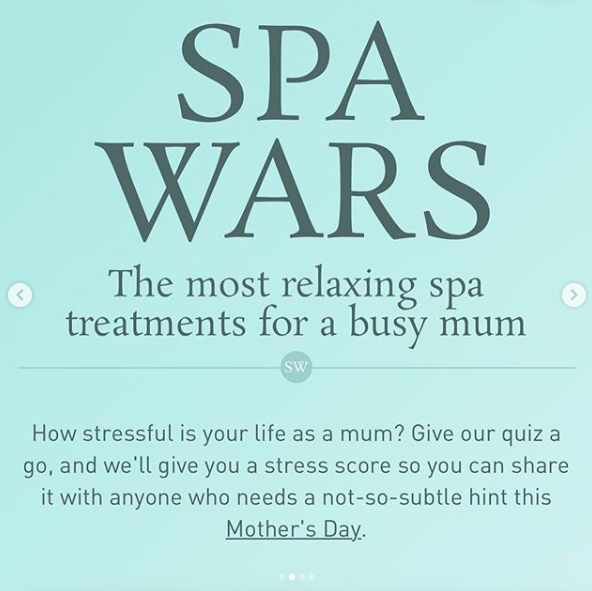 On the other hand, if you deliver at 37 weeks and 1 day, you are labeled term. Obviously, there is no actual difference due to being term or preterm between two people that deliver that close, it's just a convention, and as such, prediction results will always be affected and most likely very inaccurate around the 37 weeks threshold. Since the dataset used is available for anyone to download and use from Physionet, in this post I will partially replicate the published results, and show how to properly cross-validate when oversampling data. Maybe some clarification on this issue will help in avoiding the same mistakes in the future. 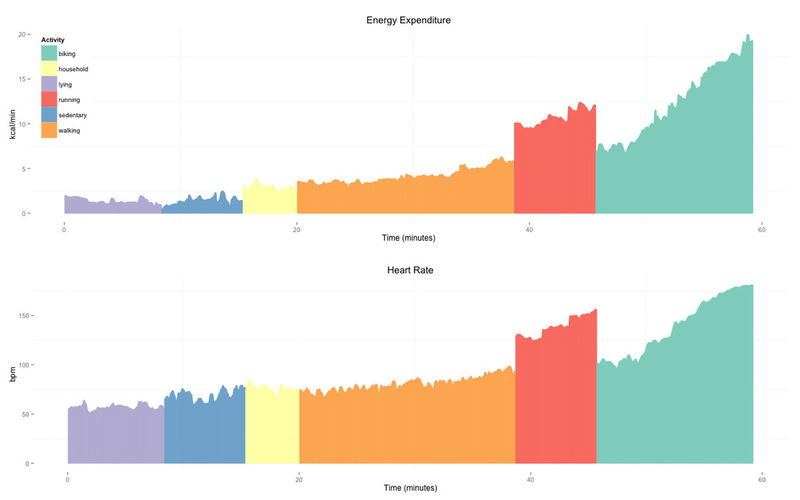 This post is about machine learning for energy expenditure (EE) estimation. More specifically, I'll show how to model the relation between accelerometer, physiological data and EE using Bayesian models and hierarchical regression. During my PhD I've been working on developing EE models combining accelerometer and physiological data acquired using wearable sensors. I mainly focused on developing personalization techniques able to normalize physiological data across individuals, without the need for individual calibration. 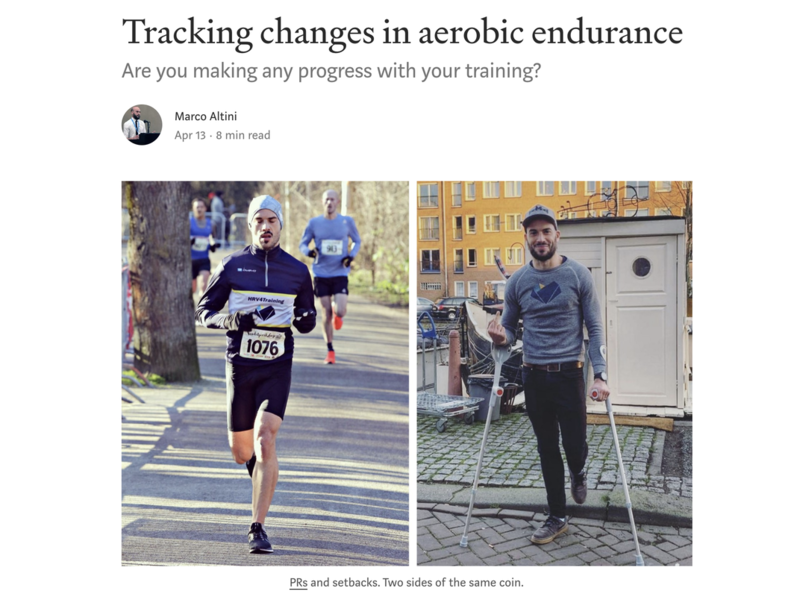 The topic of EE estimation or physical activity assessment is gaining more and more interest lately, with the release of many activity trackers in the consumer market, some of them claiming higher accuracy due to a combination of accelerometer and physiological data (e.g. Bodymedia, Basis or the Apple watch). However, simply combining multiple signals, without personalization, provides suboptimal results, as I'll show in this post. 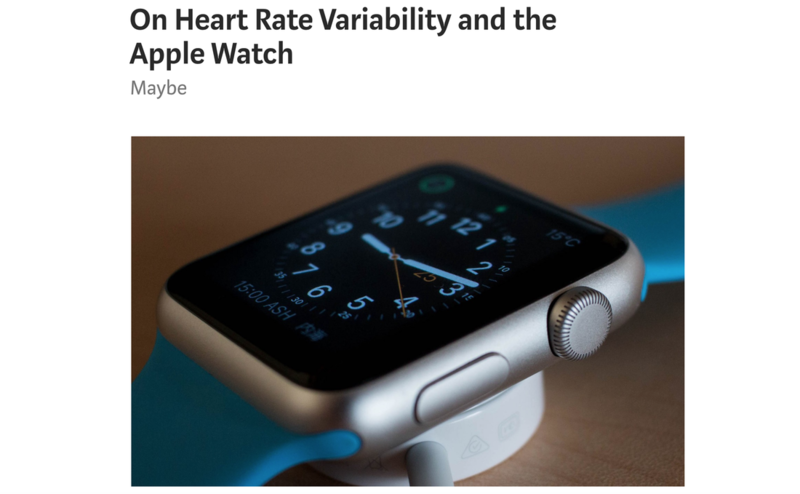 Let's take heart rate (HR) as an example. HR is the most commonly used physiological parameter to monitor physical activity and is getting used more and more with the introduction of many wrist-based HR monitors. HR can be key in providing accurate, personalized estimates at the individual level due to the strong relation between oxygen consumption, HR and EE within one individual. 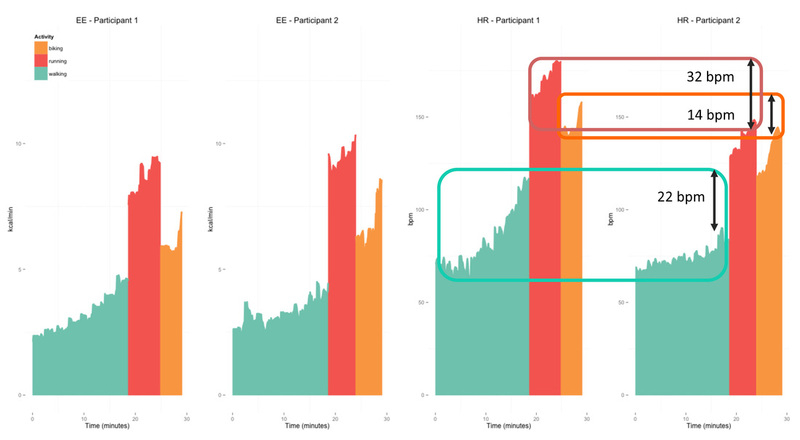 Here we can see how EE and HR evolve during different activities performed by one individual. The signals follow a similar trend. Pearson's correlation coefficient between HR and EE is 0.98, clearly, HR can be used as a predictor of EE. 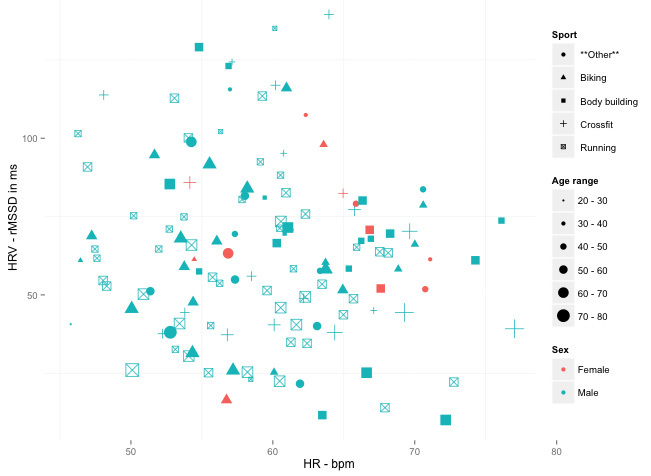 HR is highly correlated with EE, especially for moderate and vigorous activities. We can see a weaker link between HR and EE during lying, sedentary behavior and household. However, this individual-specific relation does not hold across individuals, challenging standard population-based approaches for EE estimation. As a result, individual calibration and laboratory tests are needed to normalize HR. 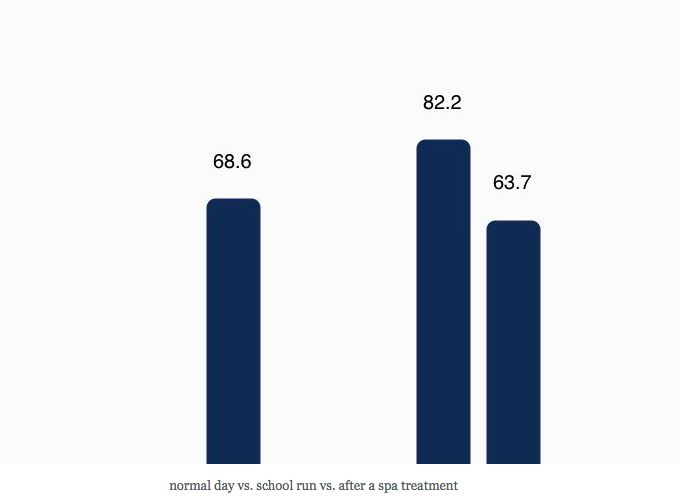 The rationale behind the need for normalization is that individuals with similar body size expend similar amounts of energy during a certain activity, however their HR differs depending on other factors, for example, fitness. Let's look at another example to clarify this point. 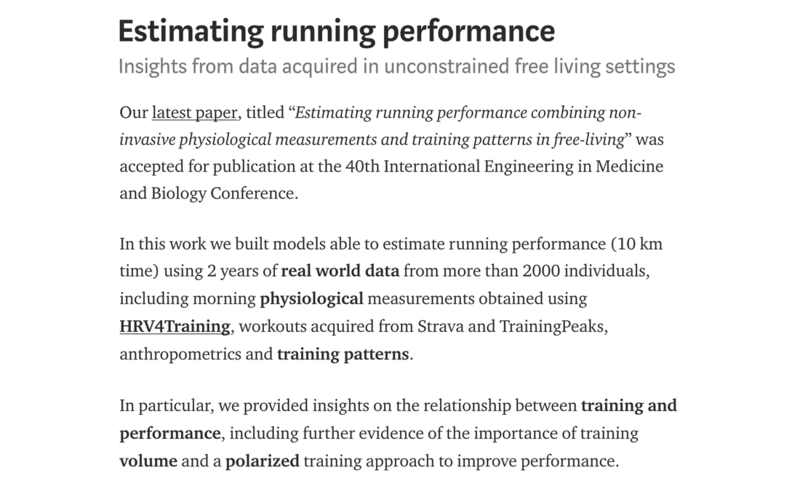 Here we have walking, running and biking data from two participants, the similar body size (weight P1: 57 and P2: 52 kg, height P1: 166 and P2: 169 cm), results in similar levels of EE for the same activities, as shown in the two plots on the left side. However, the different fitness level (VO2max P1: 2100 ml/min and P2: 3130 ml/min) results in higher HR for the unfit participant, as shown in the two plot on the right end side. Thus, estimation models relying on HR to predict EE will result in underestimations and overestimations of EE. The main focus of my research was then to define methods and models able to take into account variability in physiological signals between individuals without the need for individual calibration. Let's take a step back, and start with the basics. UPDATE: StayFit is not available on the Apple Store anymore. However, I am currently including the Fitness Index as an additional Insight in HRV4Training, please check out HRV4Training if you are interested in physiological data, training, recovery and fitness. 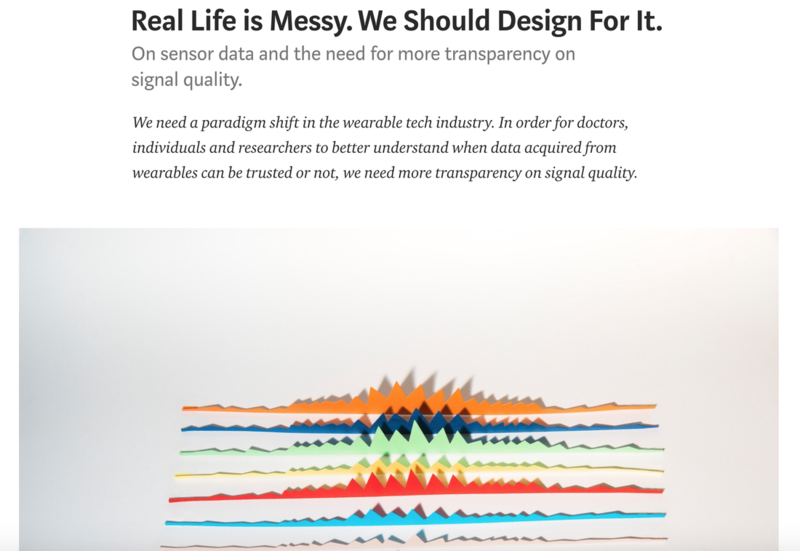 ​Additionally, some of the research backing up the assumptions in this post have been recently published in Artificial Intelligence in Medicine, you can find out more here. 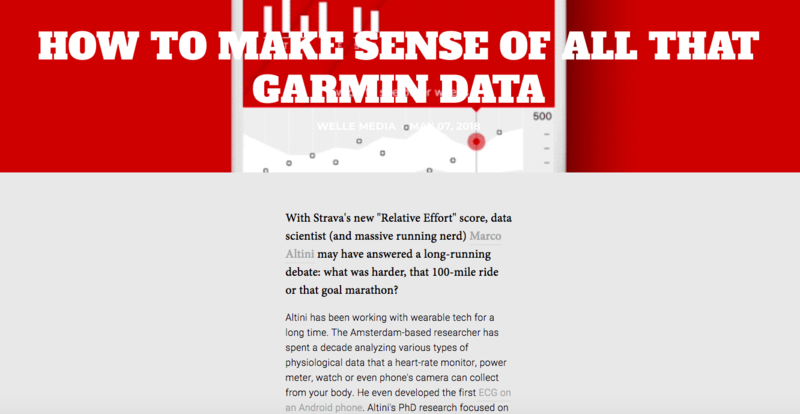 I spent the last few weeks defining a new indicator of cardiovascular endurance and fitness, based on simple parameters that can be acquired with minimal effort using a mobile phone. 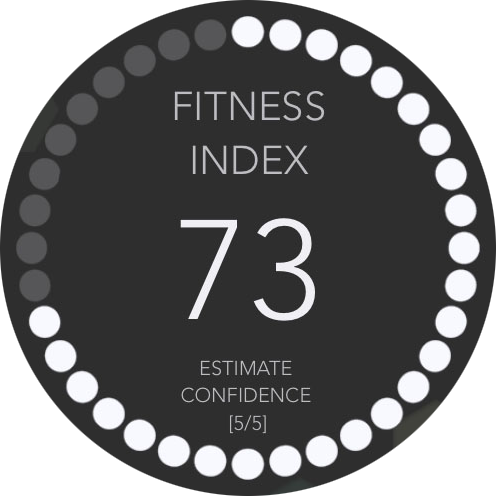 The indicator is called Fitness Index, and the app I developed around this concept is StayFit. This post goes into the details of the limitations of current methods used to define fitness and how the Fitness Index overcomes some of these limitations. I will also show some anecdotal evidence of the benefit of using the Fitness Index, based on my data. I was mainly motivated by the lack of services (methods, apps, or whatever) able to track my fitness level as I keep training and try to improve my personal bests. I’d love to engage in a deeper conversation on the complexities of determining fitness level, so if you are interested as a user, coach, or expert in the field, feel free to drop me a line. Moving on, let’s introduce the concept of cardiovascular endurance or cardiorespiratory fitness. Cardiorespiratory fitness (from now on just fitness) is defined as the ability of the circulatory and respiratory systems to supply oxygen during sustained physical activity. Fitness is not only an objective measure of habitual physical activity, but also a useful diagnostic and prognostic health indicator for patients in clinical settings, as well as healthy individuals . Fitness is considered among the most important determinants of health and wellbeing. In this post, my interest is purely related to performance in sports. So everything that follows should be considered in this context. I wrote a piece on Medium about my experience as indie app developer. If you love to make things, code or are just thinking about getting started, you might find it interesting. 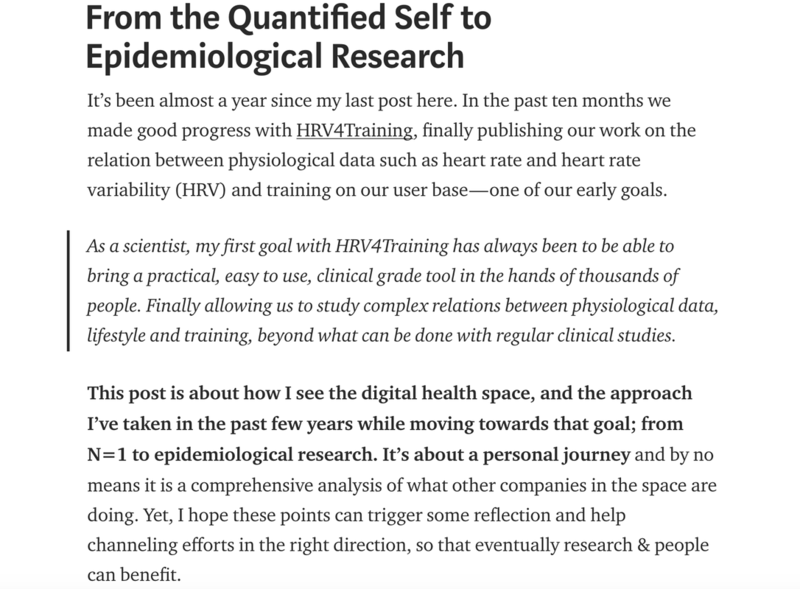 In this post I'll explore the dataset I acquired over the last year (Jan 2014 to Dec 2014) from HRV4Training's users. 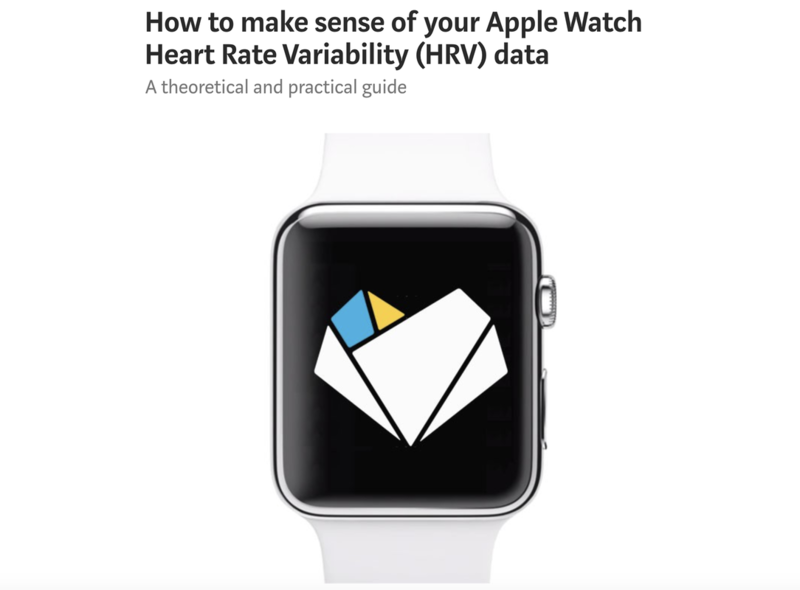 HRV4Training is an app I made to quantify physiological recovery using heart rate variability (HRV), providing advice to athletes and sport enthusiasts on their daily trainings (see here for details on how the app works). I released the app for iOS around a year and a half ago. The first stable version was released around Jan 2014, and a major update followed last year before summer, which improved UI, reliability of the camera data acquisition and also connected the app to a backend (on Parse). 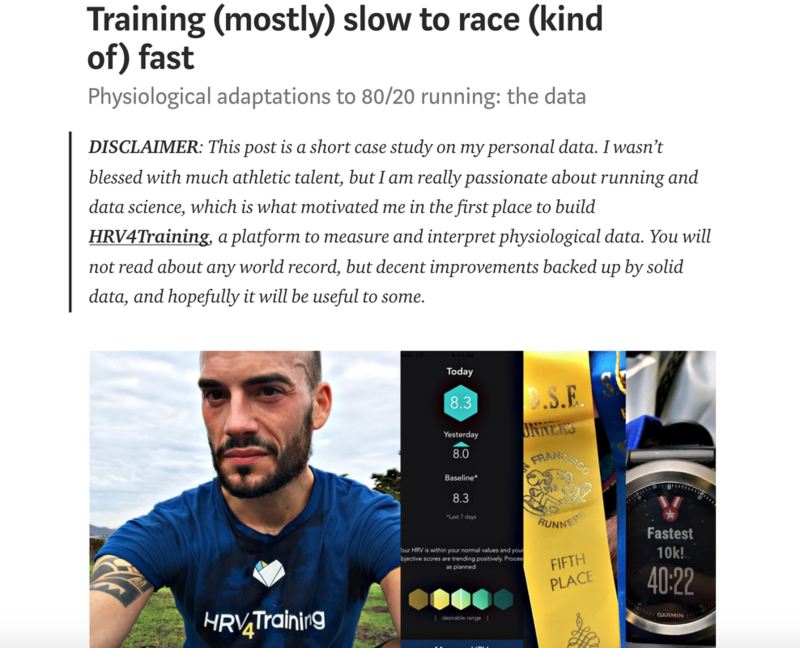 At that point, I had already blogged about insights from my own data (see this post) and I wanted to see if I could find similar effects of training on HRV on a wider user population, therefore further validating the effectiveness of HRV measurements as a marker of physiological recovery. dataset: number of users, users data, settings, etc. HRV recordings: values, differences by age, etc.